Waiting for months (well over a year in some cases) to edit photos has some advantages. For one, I find designs I did 3-1 years ago, meant to list in the shop, and forgot all about! The pickings were starting to feel a little slim... So now I give you two old favorites that I was commissioned to make a good amount of 3 and 2 years ago, a bit freshened up and raring to go! Bringing this design out of retirement, I'm adding the option to have the leaves be a different color than the background. It's more technical work, but I think it's worth it for the impact. Those that like the more minimal, quiet look can keep everything one color. In the above photos I used Polvere for the background and hand-painted metallic Copper for the leaves. I've since added new shimmer papers including copper that would work just as well. 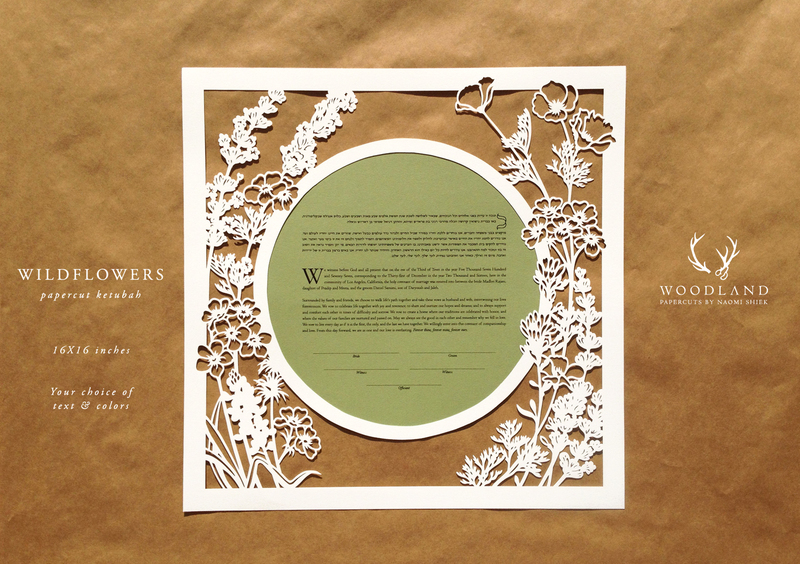 This ketubah is based off a commission I did back in 2013. This design is 16X16 inches big and the text area is roomy enough to accommodate nearly all texts. 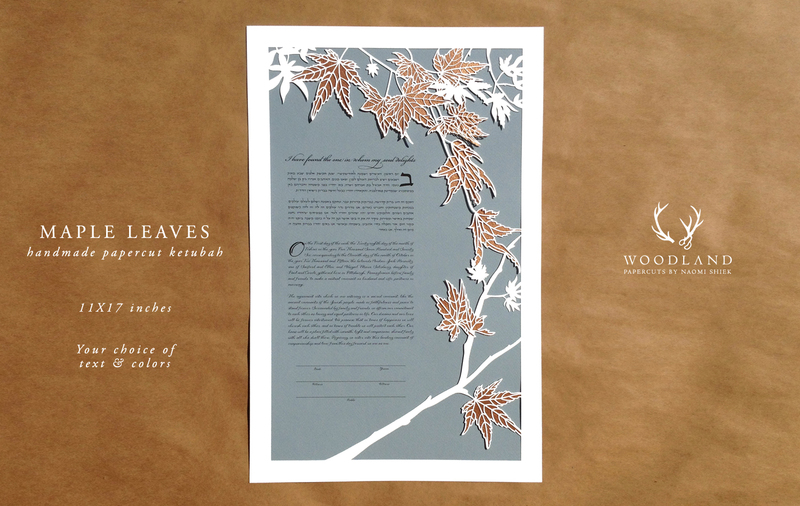 I photographed the ketubah without a background because I love that look, but a color background can easily be added.